SHELTER scarf needs a name! Contest! 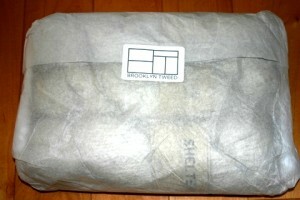 So if you’re a knitter, you probably already know that Jared Flood (aka Brooklyn Tweed) recently launched his own yarn: SHELTER. 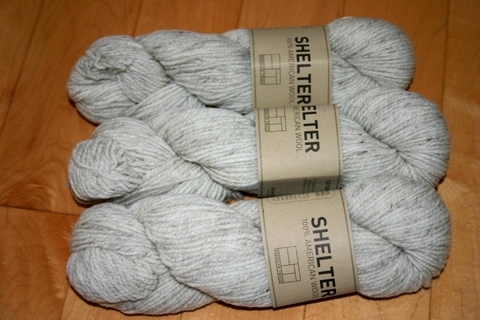 I was intrigued & bought 3 skeins. I chose Fossil (the whitest of the bunch of lovely colours). I know that some people (Louise, I’m looking at you!) wondered why I hadn’t gone for something else, but this is what I wanted. Perhaps next time I’ll delve into the other colours. The yarn arrived recently and I didn’t have a chance to play with it before Rhinebeck. On the drive down to Rhinebeck I started working on what I thought was a new lace design. 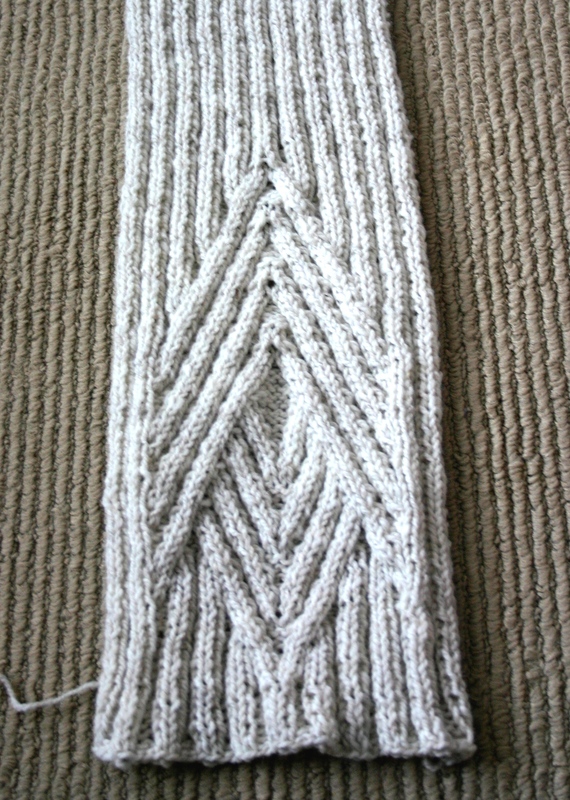 After a bit of trial and error, it became clear to me that it was instead a new scarf design for a scarf that’s mostly 2×2 ribbing, but has a kind of angled Deco-inspired cabled ending. It’ll start with a provisional cast-on so that both ends look the same. Right now it exists as a hand-drawn chart that needs updating and hand-written chicken scratch step-by-step written instructions that need to be typed in and checked, but I expect that very soon it will emerge as a pattern. Perhaps I need some more SHELTER to play with other colours. Which colour would you choose? 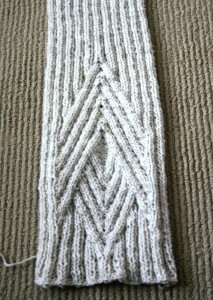 CONTEST ALERT: Have you got any thoughts about a name for this scarf? Please comment here, email, or PM me on Ravelry (ottawawoolpower) as soon as possible! If you’re the first to suggest the winning name, you’ll get a copy of the new pattern. If there are too many choices that I like, I’ll put the top ones up for a vote! This entry was posted in design, knitting and tagged Art Deco, Brooklyn Tweed, cables, Jared Flood, new design, scarf, SHELTER. Bookmark the permalink. 5 Responses to SHELTER scarf needs a name! Contest! I hadn’t noticed the fossilness of the pattern. I am pretty hooked on geometric designs at the moment! I’m still hooked on the Chrysler building & Art Deco in general!